Most races take place on Tuesday evenings – the full 2019 calendar is listed below. Links to the courses, and the results, are on the calendar. Various trophies are awarded annually for competition in club races. Click here for more details of these. We’ll try to keep an up-to-date list of leaders in the results pages against each race. Finally, we award medals for riders reaching certain standard times in time trials. For a list of the standard times for each age group, click here. 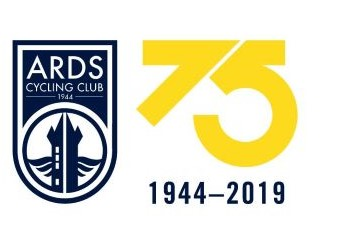 2019 is the the club’s 75th anniversary, and we’re running some extra events to celebrate – click here for more details. For calendars and results from previous years, click here.